National laws for implementing CITES is critical to ensure that trade in protected species is legal, sustainable and traceable. Legislation empowers government officials to act, regulates human behaviour and articulates policy in relation to conservation and trade in wildlife. 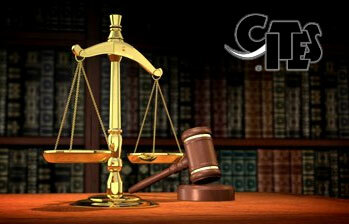 Although CITES is legally binding on States it is generally not self-executing. This means that it cannot be fully implemented until specific domestic measures have been adopted for that purpose. It is therefore absolutely essential that CITES Parties have legislation in place allowing them to implement and enforce all aspects of the Convention. Only through adequate legislation which is permanently up to date and efficiently enforced, both at the borders and within countries, can CITES really work. Adequate national legislation is key to effective wildlife trade controls by the State agencies charged with implementing and enforcing the Convention. It is also a vital prerequisite for ensuring that a State Party complies with the provisions of the Convention. The National Legislation Project is the Convention’s primary mechanism for encouraging and assisting Parties’ legislative efforts. Pursuant to CITES resolutions and decisions and following the call from the UN Secretary General to strengthen the UN System response to tackling illegal trade in wild fauna and flora, UNEP and the CITES Secretariat have developed a collaborative initiative to provide assistance to priority countries and territories, upon their request, to enhance their legislation. This includes the provision of targeted legal advice on the basic legislative requirements, compilation of examples of best legislation, drafting support and organization of training workshops. 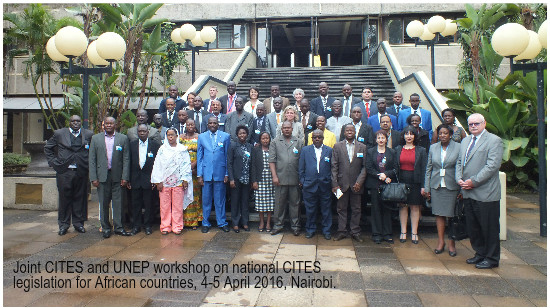 In the context of this project, CITES and UNEP organized a joint legislative workshop in Nairobi in April 2016. The joint workshop report is available here. 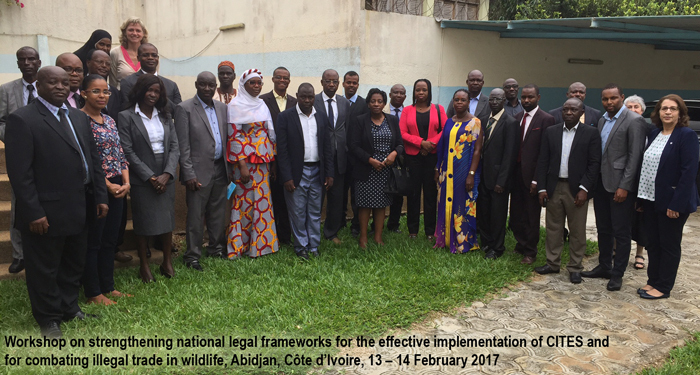 A second joint workshop was held in Abidjan on 13-14 February 2017 with the support of the UNEP Sub-regional Office for West Africa. In May 2018, the CITES Secretariat organized a workshop for the Central Asian Parties to CITES onStrengthening national frameworks for the effective implementation of CITES. The workshop was co-hosted with the State Agency on Environment Protection and Forestry of the Kyrgyz Republicand and organized in close collaboration with the Global Snow Leopard and Ecosystem Protection Programme, UNDP in Kyrgyzstan and Panthera and funded by the European Union. It was attended by 38 participants from the Republic of Kazakhstan, Republic of Tajikistan, the Republic of Uzbekistan, and the Kyrgyz Republic. The workshop aimed at strengthening the implementation of CITES from a legal, scientific and enforcement perspective through presentations, exercises and exchange of experiences among the participants, focused on matters and species, important to the region. The draft report of the workshop is available here. 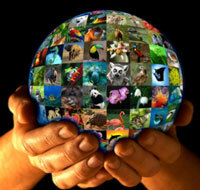 In addition, the CITES Secretariat and UNEP are providing individualized technical assistance to a number of Parties. The CITES Secretariat is currently providing assistance to Comoros, Mauritania, Niger and Saint Lucia, while UNEP is supporting Angola. In the past, a number of other Parties have received assistance from the Secretariat. 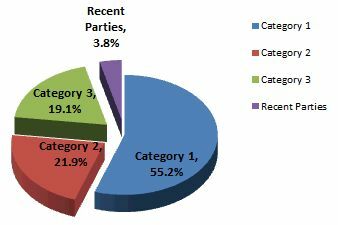 Detailed requests for assistance from Parties with legislation in Category 2 or 3 can be addressed to the CITES Secretariat. The following CITES laws and regulations are provided as examples and inspiration to Parties that are preparing or amending their CITES legislation. They have been placed in Category 1 under the National Legislation Project. More examples are being added to this list. CITES Virtual College features training materials on specific aspects of the Conventions, such as role and tasks of Management Authorities and Scientific Authorities, important CITES definitions, permits and certificates, exemptions and special procedures etc.